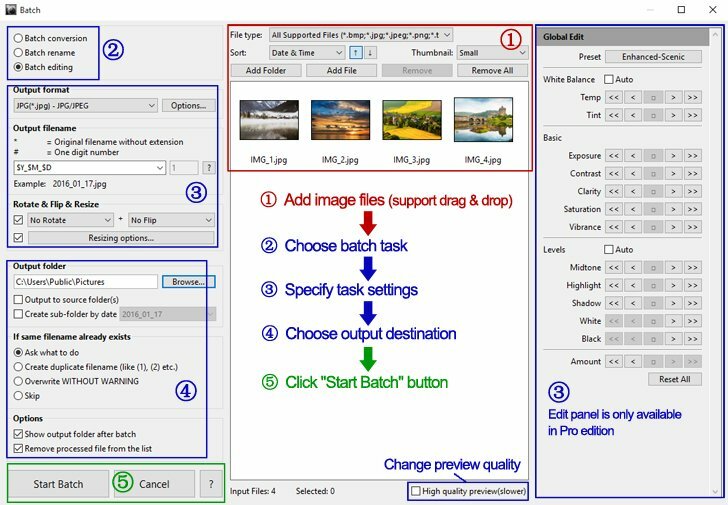 Batch Processing - User Guide of PT Photo Editor - Easily rescue problem photos. Make every shot its best. To perform batch processing, click "Batch..." button at the top of the main window. Add image files to the input list. Choose batch task - rename, convert or edit. Batch rename - Change the names of input image files to a specific pattern. Click "Add Folder" or "Add File" button in the top center of the batch dialog. Drag and drop the selected folders and files to the input list. Select multiple files in the image browser, then right click and select "Batch...". File type - Select a file type to add only files of that type to the input list. If you prefer a better preview quality, check the "high quality preview" box at the bottom of the input list, but this will need more time to load the images. Select a output format (BMP, JPG, PNG, TIFF) from the drop-down list. Click the "Options" button to set the format details. When you rename the images with numbers, you can specify the starting number. Typing “Seaside_#”, “1”, will give you “Seaside_1”, for your first image. Typing “Seaside_##”, “2”, will give you “Seaside_02”, for your first image. When you choose “Batch editing”, the “Rotate & Flip & Resize” option panel is activated. “Rotate right(CW) + Flip horizontally” will rotate images 90°clockwise first, then flip them horizontally. 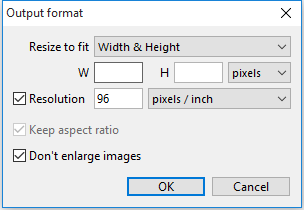 To resize images, check the box next to the “Resizing options…” button. Then click the button to set the resizing parameters. When you choose “Batch editing”, the right editing panel is activated. 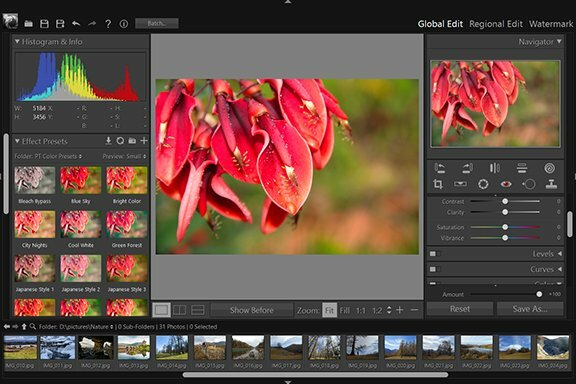 The editing panel allows you to apply image color and tone adjustments to multiple photos. Click the "Preset" button to choose a preset. Check the "Auto White Balance" / "Levels" box to apply automatic white balance/levels settings. Fine-tune the color and tone settings with arrow buttons. The single-arrow buttons adjust the settings in smaller increments than the double-arrow buttons. Click the square buttons to reset them. The "Amount" buttons control the overall effect strength. To remove all settings completely, click "Reset All" button. You can preview the image effects in the input list. If you want to put the images into a specific folder, click the Browse button and select the output folder. If you want the images to be placed in the same folder you loaded them from, check the "Output to source folder(s)" box. If you want to group the images by date and put them into different subfolders, check the "Create sub-folder by date" box.